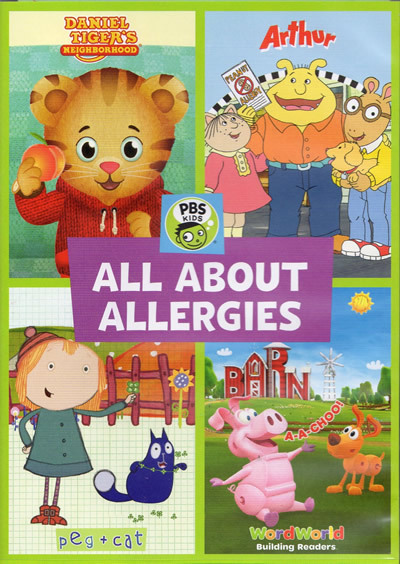 Watch some of your favorite PBS Kids characters learn All About Allergies in five stories. 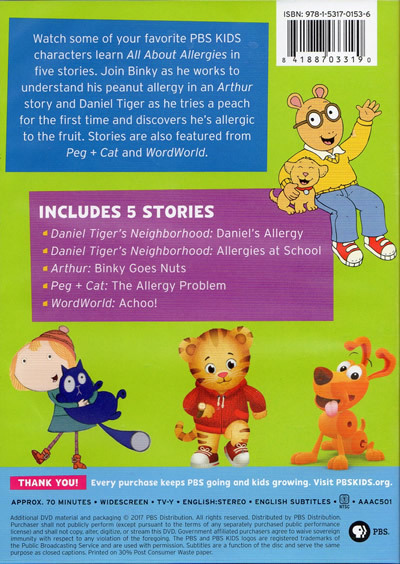 Join Binky as he works to understand his peanut allergy in an Arthur story and Daniel Tiger as he tries a peach for the first time and discovers he's allergic to the fruit. Stories are also featured from Peg + Cat and WordWorld.